Yes, we’ve been eating regularly, but it has taken a backseat to both quilting and traveling. We were blessed to be able to spend time first with family and then celebrating the weddings of some lovely friends. 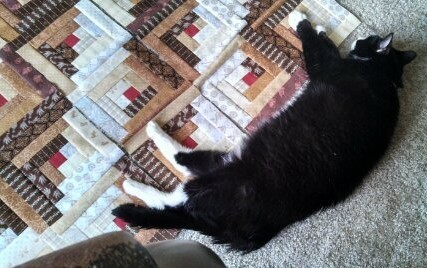 It was exhausting, but so worth it to be around people you just know. I love seeing my friends happy, and it was so nice to see that in each case and be a part of that special day. I also love giving gifts. 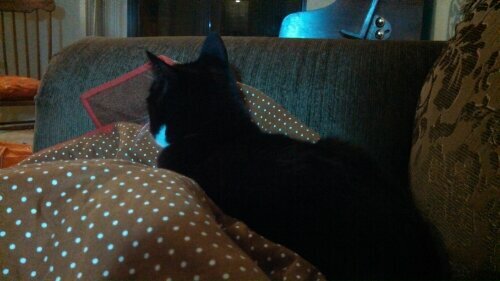 A quilt is a really special gift for me to give, and usually for people to get if I do it right. I sometimes find myself up to the wire, but it’s always so worth it and I really do enjoy the overall process. 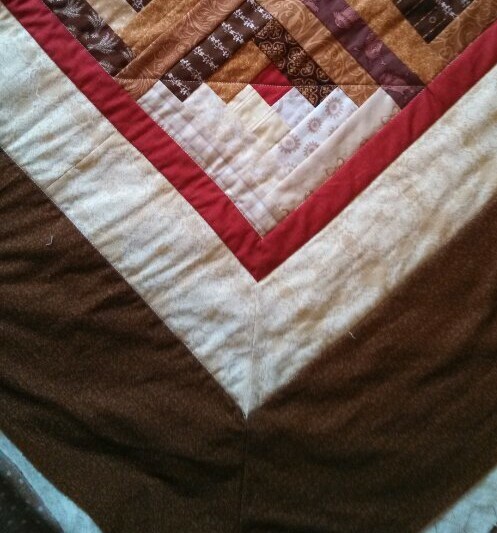 For this quilt, I chose the log cabin block pattern. It’s one I had been wanting to try, and I liked that it was traditional. The setting I chose was barn raising. 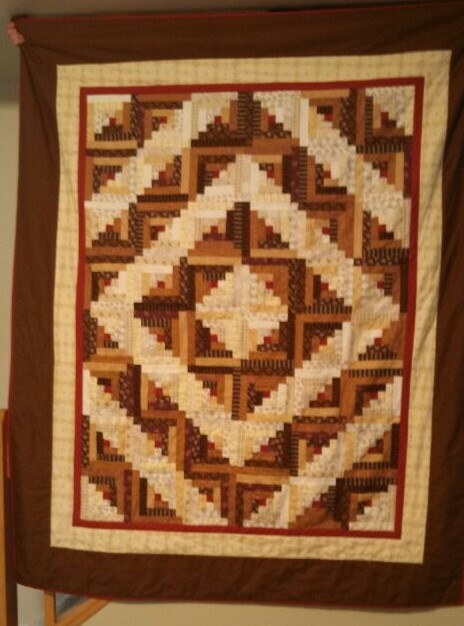 I liked that it gave the randomness of the blocks some cohesion, something the bride would definitely want out of a quilt. It was also fitting because the wedding took place in a nature center built to look like an old fashioned red barn. I chose some dark and light shades of neutral in the hopes that it would blend in to any decor the bride and groom had for years to come. I loved that I was able to use some traditional fabrics alongside some more modern ones. The Dr. Seuss Lorax pieces were a special treat that I knew my friend would appreciate. The red was chosen not just because it is traditional for the log cabin block and represents the hearth of the home, but because it was their wedding color. The backing is polka dots which are classic and always look nice. I cut one of the borders a little less than perfectly, but overall I’m very happy with the way this turned out. It was my first time mitering the border corners and I LOVE the look of it for this pattern. 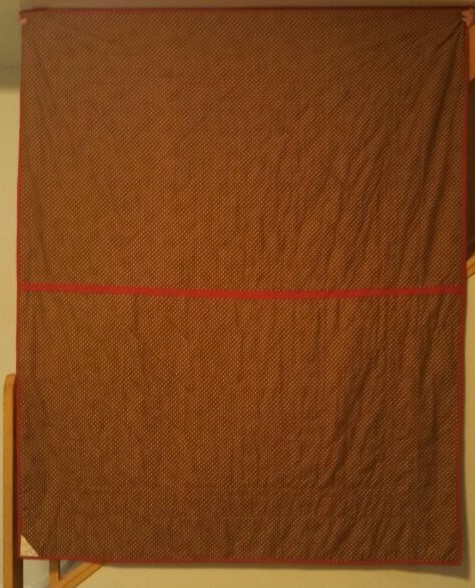 Finally, measuring 61 x 74, it is a great size for cuddling under but wasn’t so big I had a hard time handling it to quilt it. 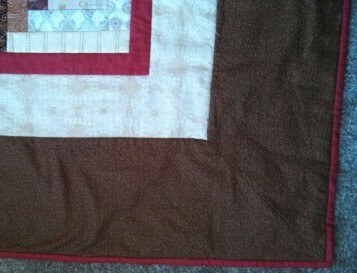 I quilted it very minimally and LOVE the softness it lends to the finished quilt. The quilt was very well received and even went on the mini honeymoon with the couple. It’s a good thing it did, too, because it was there to catch the post-wedding-overwhelmed-with-love-and-relief wedding tears a lot of brides experience. 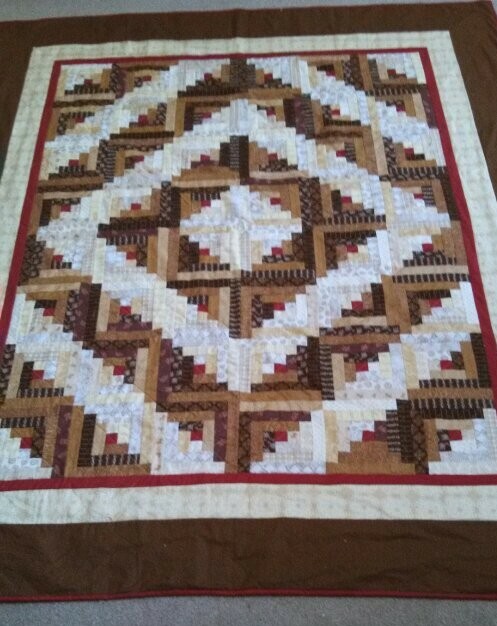 I loved designing, making and giving this quilt. But what I loved most of all is the opportunity to witness friends so happy and share in such an awesome expression of love – for each other, and with family and friends.